As a family dentist in Fort Collins, we are very familiar with the concept of the Tooth Fairy, and we are sure you are as well. However, the Tooth Fairy has a more recent history than you might think, and there are a few good reasons for keeping her around! Keep reading to learn more about the Tooth Fairy and how this mythical creature can help keep your kids’ teeth healthy. In Western culture, most children are told about the Tooth Fairy: a magical fairy who trades cash for baby teeth. According to legend, if a child places a lost baby tooth under their pillow when they go to sleep, the Tooth Fairy will come to collect the tooth and leave a small amount of money in return. According to The Original Tooth Fairy Poll, an annual poll that analyzes Tooth Fairy inflation over time, the average amount paid out for a lost tooth in 2018 is about $4.13, up significantly from $1.50 in 2001. Unlike other figures that leave gifts for children, like Santa Claus and the Easter Bunny, there is not a lot of documentation about the Tooth Fairy. However, it is believed that the Tooth Fairy originated in Northern Europe in the 13th Century, but the myth did not become mainstream until the early 1900s in America, and possibly even later. In 1927, a short children’s play by Esther Watkins Arnold entitled “The Tooth Fairy” was published, but the mythos of the “Tooth Fairy” that visited all children who lost their baby teeth really didn’t become common in the average household until the 50s and 60s. Of course, societies have been fascinated with baby teeth for ages. Below, we briefly discuss a few interesting ways baby teeth are or have been handled around the world. In England in the Middle Ages, there was a superstition that required children to burn their lost baby teeth in a fire, otherwise they would spend the afterlife searching for them. In Norse culture, warriors believed that children’s’ teeth brought good luck, and would create necklaces out of lost teeth to wear in battle. In Medieval times, people in Europe believed that a person’s’ tooth could grant a witch power over them, so it was common to bury or burn lost teeth. Almost all Spanish-speaking countries, as well as France, Belgium, Italy, and Scotland, teach their children about a Tooth Mouse, rather than a humanoid Tooth Fairy. In many Asian countries, including India, Japan, China, and Korea, it is customary for children to throw their upper teeth straight into the ground, and throw their lower teeth up into the sky, with the thought that this will cause their adult teeth to grow in straight. Parents, if your young children are so interested in this riveting dentistry blog that they are reading it with you, this would be a good time to send them into the other room. At some point, all children discover that the Tooth Fairy — you sure the kids are out of the room? — is not real. So, why do we continue this myth, and is it scarring for children to learn that it has been a myth the entire time? There comes a time when a child’s tooth is so loose that you can see it practically hanging out of their mouth. While children often swallow their baby teeth on accident, you obviously want to avoid this. Convincing a child that a fairy will leave them money for a tooth will make them more likely to accept help wiggling it out. 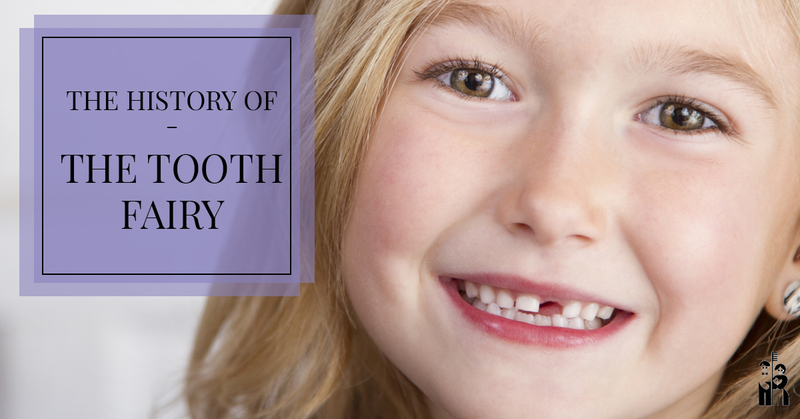 Losing teeth is a big milestone, and one of the first signs that your child is growing up. Watching them believe in the Tooth Fairy can comfort parents by showing them that even though their child is beginning to lose teeth, they are still just a kid. The Tooth Fairy is a great way to teach young children about the importance of money. Many children start losing teeth before they start getting paid for chores, if they get paid for chores at all, so giving them a few dollars and letting them see how far their money will stretch at the toy store is a great way to teach them the value of the dollar. The Tooth Fairy can help children learn about the importance of caring for their teeth. You can remind your children that the Tooth Fairy loves shiny, healthy teeth without cavities, and that the more effort they put into caring for their teeth, the more cash the Tooth Fairy might shell out. As far as whether or not children are traumatized after learning the truth about the Tooth Fairy, the answer is almost always ‘no.’ According to a study by Rosemary Wells, a professor at the Northwestern University Dental School and well-known children’s author, 75 percent of children who have had the bad news broken to them reported to still like the idea of the Tooth Fairy and would like to continue the tradition with their own children, 20 percent were indifferent, and only 3 percent said they would not teach their future children about the Tooth Fairy. Are Your Kiddo’s Teeth Ready For The Tooth Fairy? Like we said above, the Tooth Fairy loves sparkling, clean teeth, and so do we! As a Fort Collins family dentist, we would love to help keep your whole family’s chompers clean and healthy! Get in touch today to schedule a visit to Shores Family Dentistry in Fort Collins for your kiddos or yourself!